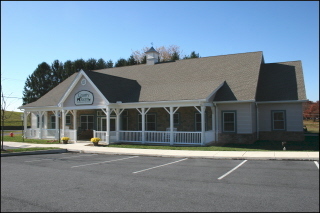 The Country Doctor Veterinary Hospital was established in 1980 by Dr. James H. Langman in Orefield, Pennsylvania. Dr. Langman had previously operated another successful veterinary hospital in the area. His decision to retire from that practice and pursue his other love, farming, was met with much resistance from his loyal clients, who continued to seek his services. Having no facility in which to treat patients, Dr. Langman began to see appointments in the laundry room of his home. It wasn't long before he outgrew the laundry room and built a small hospital on his property. His veterinary skills and James Herriot like reputation continued to draw new clients despite the secluded location of the hospital. 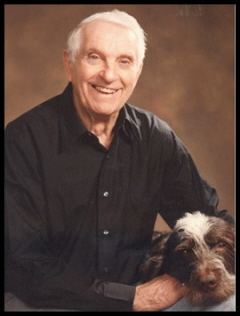 Dr. Langman formed a partnership with Dr. Ferdinand Visintainer in 1989 and he continued to practice veterinary medicine until his death in November 2001. Dr. Visintainer, a 1985 graduate of the University of Pennsylvania School of Veterinary Medicine, joined the practice in May 1988, bringing with him a desire to expand the services offered by the Country Doctor Veterinary Hospital. These included creating an in-house laboratory and adding radiology capabilities. The original New Tripoli Clinic opened in August 1989. The services of Margaret Johnson, a certified veterinary surgeon, became available in 1993, greatly enhancing the surgical and diagnostic capabilities of our practice. This enabled us to offer our clients advanced surgical techniques locally which, until then, were only available through referral to the Philadelphia area. Dr. Kimberly Kish, a 1992 graduate of the University of Pennsylvania School of Veterinary Medicine, joined the practice in January of 2002. Dr. Kish's superb veterinary skills coupled with her exemplary client skills contributed to the continuing growth of the practice. Dr. Kelly Trexler-Wertman, a 2004 graduate of Louisiana State School of Veterinary Medicine who had worked for the practice in various positions throughout her educational career, was welcomed back to the practice in June of 2004. Her excellent skills, friendly manner and compassionate care fits well with our practice. As our clientele grew in numbers and new medical and laboratory equipment were added to the practice we outgrew the original hospital on Dr. Langman's property in Orefield. Planning for a new facility began in 2002 and construction of the new hospital started in July 2004. In January of 2005 both the Orefield Hospital and the original New Tripoli clinic closed and the current hospital was completed and opened on January 10, 2005.